This topic contains 3 replies, has 2 voices, and was last updated by admin 12 months ago. i would like to ask you if it’s possible to translate the plugin with .po file or WPML. I have not found any translation in folder /wp-content/plugins/formidablepro-2-pdf and WPML doesn’t show any strings of this plugin. Now we have bought a temporary pro version paying 2$ but we are interested to buy it. No, the plugin is not WPML compatible, and we will not be adding translation functionality. The replacement plugin, E2Pdf will be WPML in the future. 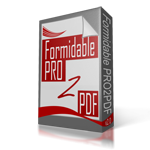 Yes, we are extending an equivalent E2Pdf activation key to all users of PRO2PDF and we have a PRO2PDF to E2Pdf template converter on our site, it’s also still in beta testing.